My auntie prepared this recipe which appeared in Barefoot Contessa Back to Basics, 2008. I don't think she made any changes, but said it was a little too oniony from the chives. Cook the pasta in salted water according to the directions. On medium heat the cream until it comes to a simmer. Reduce the heat to low and melt truffle butter with 1 tsp salt and 1/2 tsp pepper. 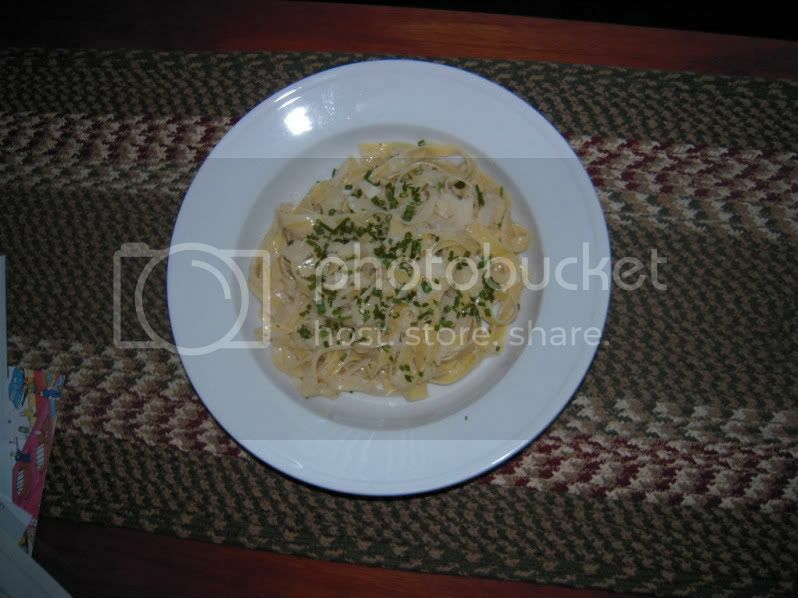 Toss the pasta with the sauce and garnish with chives and parmesan.